Are you tired of using default chart types in your presentation? 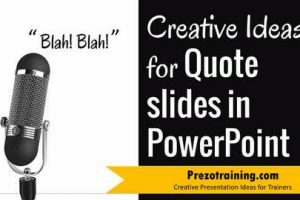 Do you want to spice up your chart slides for your training sessions? In this article, I’ll show you how we converted 3 everyday training concepts into interesting data driven charts you can use in your training slides. ‘Tip of the iceberg’ is a well-known phrase used in training. It is a metaphor to indicate that ‘What is visible is just a small portion compared to what lies hidden’. As you can see the value for April comes above water and the data label shows the exact value automatically. This chart is an interesting way to add meaning to the data points in a performance. Speedometer is a well-known metaphor used in training to assign qualitative parameters to performance. You use this graphic to talk about qualitative performance of a team or person. We changed the project completion percentage from 35% to 75%. The needle automatically moved from Medium to High. You just need to change the value of a single cell and the chart updates automatically. Of course, you can assign your own values to determine the qualitative parameters like Low, Medium and High. Isn’t that interesting? Another common phrase used in training is ‘Temperature of an opportunity’. You tend to assign tags like ‘Hot, Warm or Cold’ to a prospect. By changing the value of a single cell, you make the thermometers show the value automatically. For example, the chart on the left has a common goal of 500. The red and blue levels show the performance of two different teams compared to the target. Notice the percentage achievement indicated by the numbers right next to the spherical bulb at the bottom of the thermometers. So, with a bit of imagination, you can convert common concepts into meaningful data driven charts and use them in your training presentations. If you are challenged for time, or if you are not too comfortable working with advanced chart functions of PowerPoint, I recommend you take a look at our readymade PowerPoint templates solution for trainers. 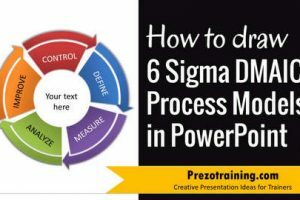 The quickest way to create engaging and memorable Data charts for your training presentations is to use premium PowerPoint templates specifically designed for trainers. All the examples I showed above are taken from our Complete Trainer’s Bundle. The bundle offers a massive collection of 4000+ templates specifically designed for trainers. The bundle has unique collections like – Industry specific models & frameworks, interactive game templates, interactive tab templates, industry specific icons and a massive collection of trainer assets that help you create your training presentations in a heartbeat. Why don’t you find more details about the bundle by visiting this page? 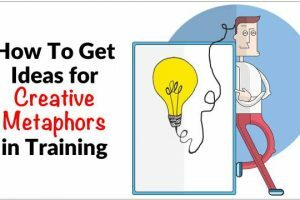 You will discover a whole new way to create training presentations that grab and hold your audience’s attention – FAST. Leave your comments below. Your email is safe with us. © 2019 — PrezoTraining.com. Fully owned and operated by Bizprez Training LLP. All rights reserved. 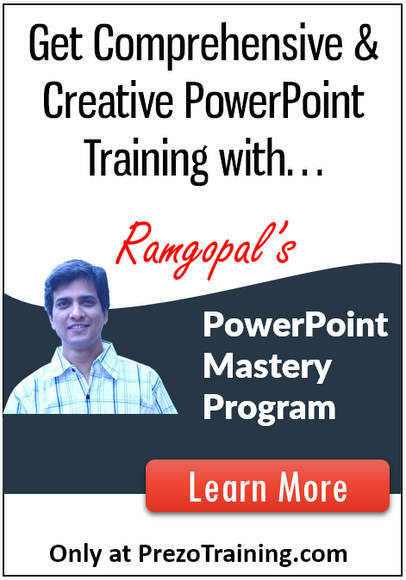 PowerPoint is a registered trademark of Microsoft and Microsoft does not endorse this site or products in any way.